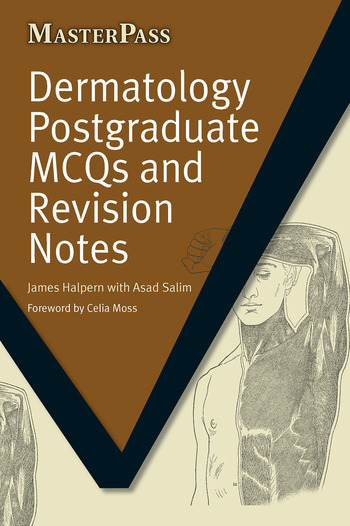 Postgraduates studying dermatology can face a lack of appropriate revision aids: reference books are often too exhaustive or out-of-date, while undergraduate and introductory texts lack the necessary detail and depth. This book is specifically designed for postgraduate examinations, and is the perfect accompaniment for the diploma in dermatology. Eczematous & Papulosquamous Disorders. General Dermatology. Hair & Nails. Medical Dermatology. Collagen-Vascular Disorders and Immunology. Infectious Diseases. Lesions, Surgery and Skin Cancer. Paediatric Dermatology and Genodermatology. Photodermatology. Dermatopharmacology. Dermatopathology.